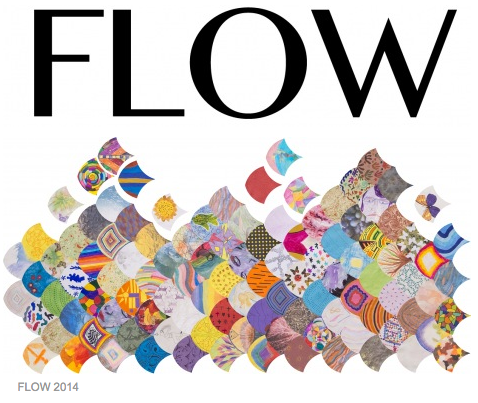 Flow was an event held Tate Modern in celebration of World Mental Health Day 2014. 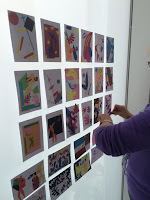 A collaborative project. 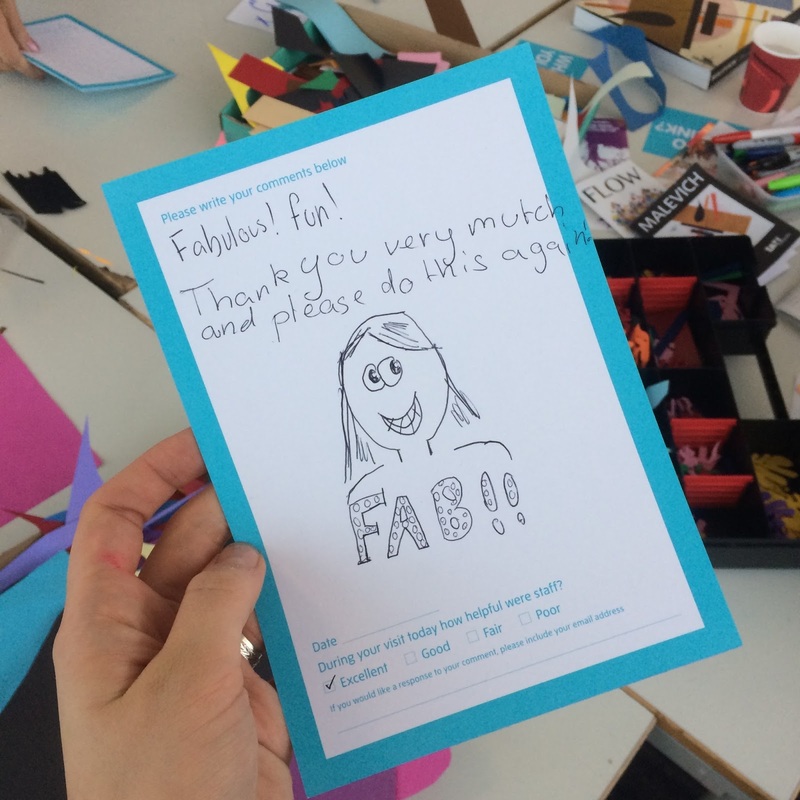 Six local and national arts and mental health organisations banded together along with the Tate to hold workshops, artist talks and gallery walks, all to raise awareness and celebrate positive attitudes towards mental health. 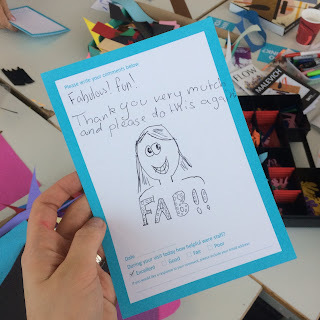 Artwork made by members the organisations made the logo for the event (shown above) and on the day, decorated the corridor that led to the workshops. 'Malevich, Meets, Matisse' inspired by a recent trip to the Tate Modern to see the Matisse: The Cut-Outs exhibition. 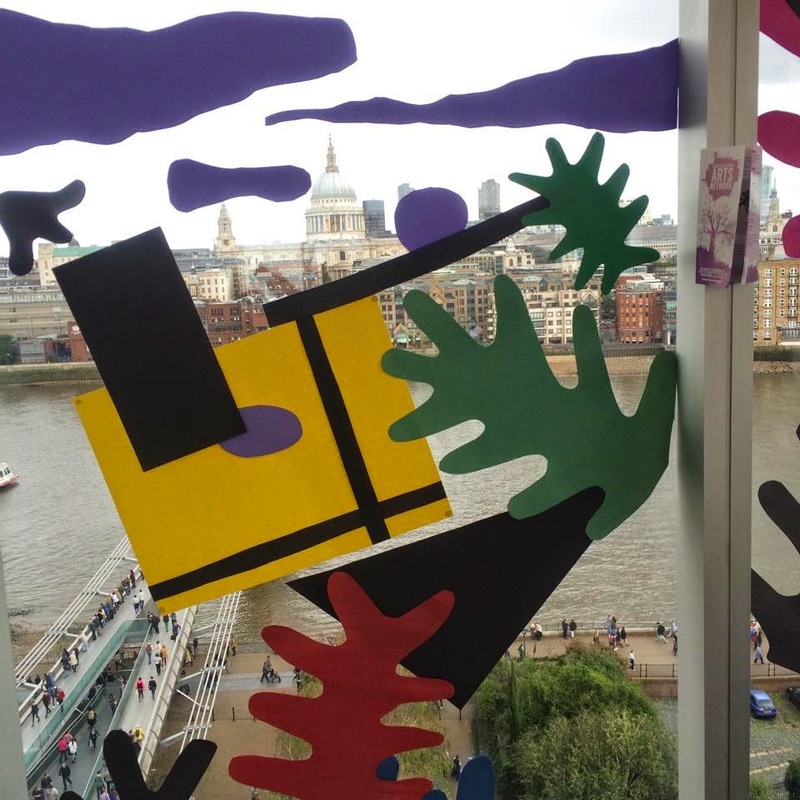 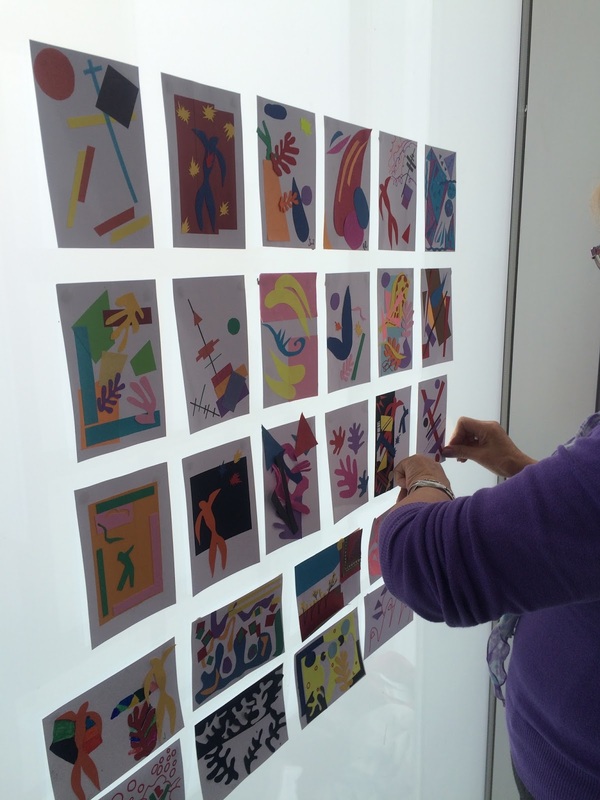 Members of the public were invited to create their own postcard sized Malevich or Matisse and also contribute to a large scale work of art on the window of the east room that overlooked the Thames river and the London skyline.